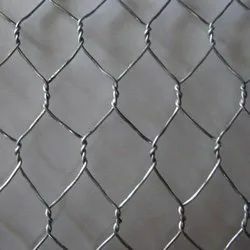 We are instrumental in offering a wide range of Double Twist Barbed Wire. In synchronization with the set industry standards, our provided wire is manufactured using high grade basic material and latest technology. Owing to its specific usage on borders, airports, railway tracks and prisons, this wire is widely demanded by our prestigious clients. Moreover, to ensure the best quality, the offered wire is tested by our quality controllers against different quality parameters. From the day of our inception, we are engaged in manufacturing, supplying and exporting a wide range of Hexagonal Wire Mesh. All the products are available in different designs, sizes, and models at industry leading prices to meet the demands and requirements of clients. In addition to this, we develop all our products using premium quality raw material and latest technology to ensure that finished products meet with international quality standards & norms. 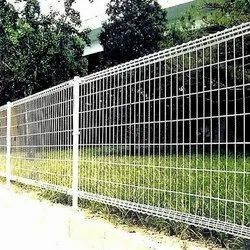 With sincerity and hard work of our experts, we have carved a niche for ourselves in this domain by offering Wire Mesh Fence.Provided fence is manufactured at our well-equipped manufacturing unit, using quality approved fence and cutting edge technology. Offered fence is widely appreciated for its high strength & corrosion resistance feature. 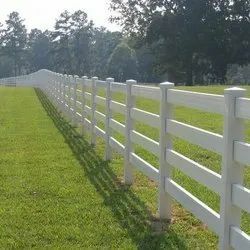 Besides, this fence is tested by our quality experts for its premium quality. 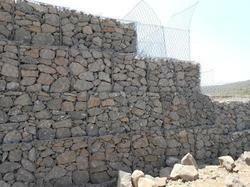 Our clients can avail this fence at cost-effective prices. Double Twisted Hexagonal Mesh Gabionsare rectangular wire mesh baskets filled with rock at the project site to form malleable, permeable,monolithic structures such as retaining walls and structures for various types of civil projects. same wire with an additional PVC coating for ultimate rust control. Permeability to water - gabion structures offer free drainage providing higher bank stability when used for river bank protection. 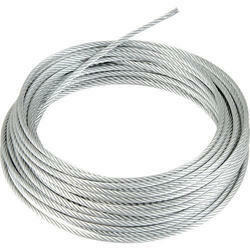 Owing to the knowledge of this domain, we are offering to our patrons a broad spectrum of Galvanized Wire Rope. These ropes can operate in demanding conditions and must resist crushing, bending fatigue and abrasion. Apart from this, these ropes are available in different sizes and thickness. Leveraging on the support of our diligent professionals, we have been actively engaged in offering a vast variety of Border Fences. 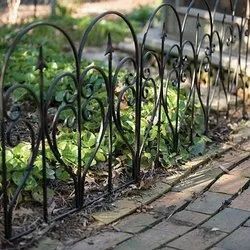 These fences are manufactured as per the international industry guidelines, using high-grade steel and other metals. In order to cater to the variegated demands of the patrons, we offer these fences in different designs, patterns, shapes and sizes. Apart from this, clients can get these fences tailor-made as per their specific needs. To match up the varying demands of the customers, we are engaged in offering a wide array of Rail Fencing. Our Rail Fencing is examined properly as per the set industrial standards and parameters to ensure its quality. Our Rail Fencing is highly durable which attracts the clients most. 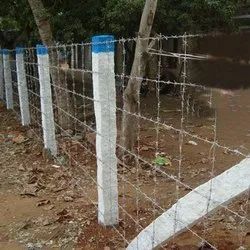 Barbed wire is one of the most widely used products for fencing purposes. Its application for security purposes ranging from not just residential homes but also industrial plots and agricultural farms. Its characterised by a double twisted wire with barbed wire placed at proportionate intervals. The reason for its wide popularity is because it’s easy-to-use and is highly economical. 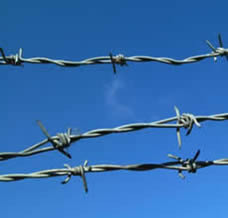 We hold expertise in manufacturing and supplying a qualitative range of Barbed Wires. These wires are designed with sharp edges or points arranged and fortifications in trench warfare manufactured using optimum-grade raw material and higher-strength steel, in compliance with the industry set parameters. 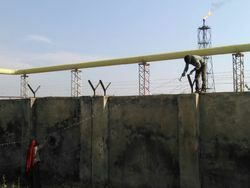 This range of wires is used for inexpensive fencing used over the atop walls surrounding for security.